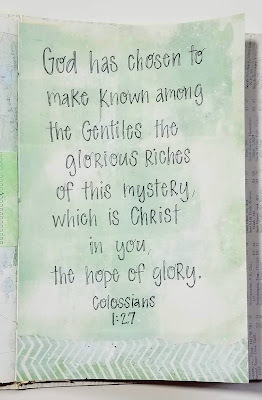 Our words for the first half of the challenge have led us through the first chapter of Paul's letter to the Colossians, with a few detours to other portions of the book as we have traced out their usage. In the first section of the letter (1:3-1:23) Paul has laid out the gospel: salvation comes through faith in Christ alone. He has done so by exalting the supremacy of Christ. Paul now shifts in his letter to share his personal mission commissioned by God. "Now I rejoice in what I am suffering for you, and I fill up in my flesh what is still lacking in regard to Christ’s afflictions, for the sake of his body, which is the church. I have become its servant by the commission God gave me to present to you the word of God in its fullness— the mystery that has been kept hidden for ages and generations, but is now disclosed to the Lord’s people. 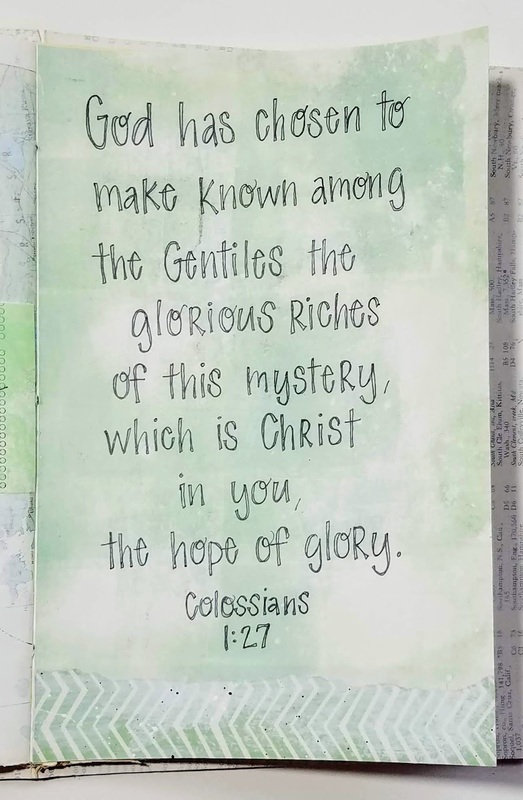 To them God has chosen to make known among the Gentiles the glorious riches of this mystery, which is Christ in you, the hope of glory. The rest of the story in Acts tells us that Paul was immediately baptized, began preaching about salvation through Christ, and the church grew as a result. "He is not talking about Christ's atoning work on the cross. Christ's work was perfect and complete. The writer of Hebrews said this: "Day after day every priest stands and performs his religious duties; again and again he offers the same sacrifices, which can never take away sins. But when this priest (Jesus) had offered for all time one sacrifice for sins, he sat down at the right hand of God." Hebrews 10:11-12. Paul is referring to suffering the afflictions Christ would suffer if he was still on the earth. Christ said this to his disciples in John 15:20: "No servant is greater than his master. If they persecuted me, they will persecute you also..." Christians suffer the persecution that their master would if he was still on the earth. The more our life models His, the more we will receive the same animosity he did." 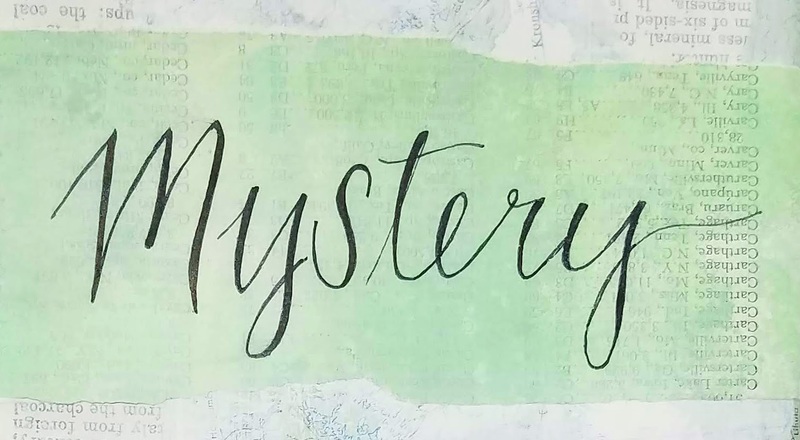 The second part to this mystery is "Christ in you , the hope of glory." (1:27). Now, through Christ's death and resurrection and the gift of God's Holy Spirit, Christ dwells in His people. Although God's plan was hidden in the Scriptures, it was not fully revealed until the coming of Christ. 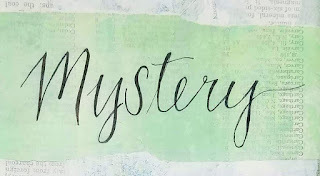 "..That they may know the mystery of God, namely Christ, in whom are hidden all the treasures of wisdom and knowledge." Colossians 2:3. We continue Paul's commission today as well. Paul says in his second letter to the Corinthians that the minds of unbelievers are blinded to the gospel of the glory of Christ. "Therefore, since through God’s mercy we have this ministry, we do not lose heart. Rather, we have renounced secret and shameful ways; we do not use deception, nor do we distort the word of God. On the contrary, by setting forth the truth plainly we commend ourselves to everyone’s conscience in the sight of God. And even if our gospel is veiled, it is veiled to those who are perishing. The god of this age has blinded the minds of unbelievers, so that they cannot see the light of the gospel that displays the glory of Christ, who is the image of God. For what we preach is not ourselves, but Jesus Christ as Lord, and ourselves as your servants for Jesus’ sake. For God, who said, “Let light shine out of darkness,” made his light shine in our hearts to give us the light of the knowledge of God’s glory displayed in the face of Christ." 2 Corinthians 4:1-6. Paul will go on to say in the next chapter that we - the followers of Christ - have been given the same ministry of reconciliation that he received. "And he has committed to us the message of reconciliation. We are therefore Christ’s ambassadors, as though God were making his appeal through us. We implore you on Christ’s behalf: Be reconciled to God." 2 Corinthians 5:19-20. We are called to share our story, and the life of Christ in us, who is the hope of glory for all mankind. 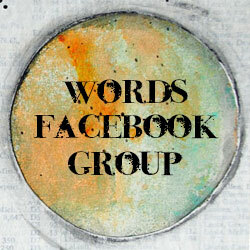 If you are behind or just joining in, you can find a list with links to the previous words here. 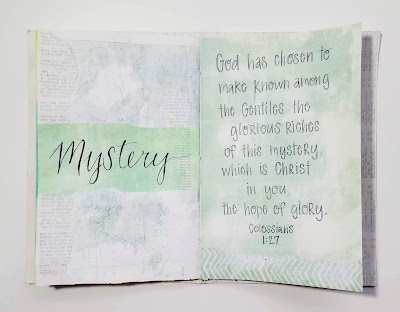 Please share your creative responses to today's word and Bible verses in the Words Facebook group or on Instagram using #colossianswords.